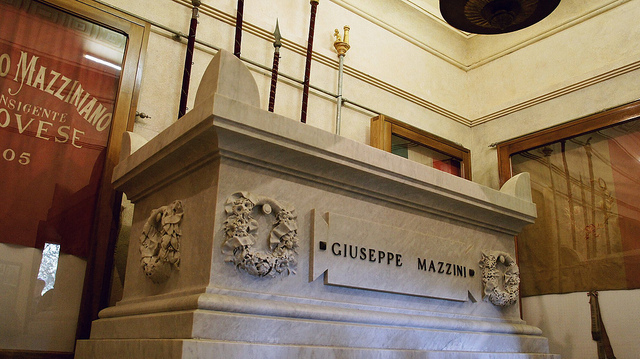 Giuseppe Mazzini was born in Genoa, in Via Lomellini, on 22 June1805, to Giacomo, a former Jacobean university professor, and Maria Drago. 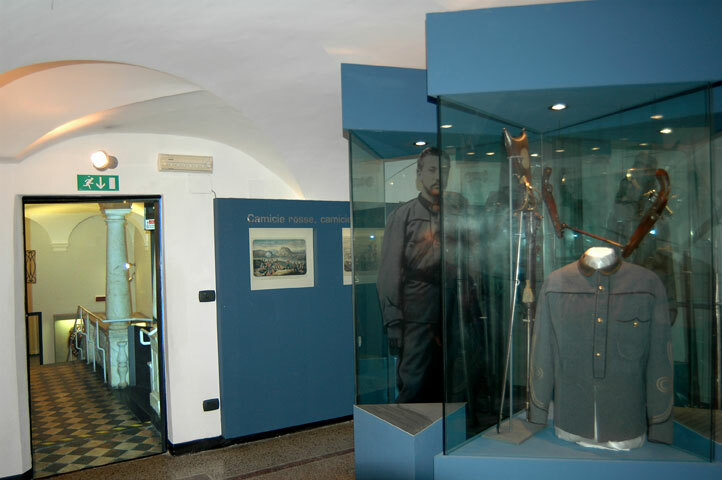 He took a keen interest in political events in Italy from an early age, and shortly after earning his degree, he became part of the Carbonari. 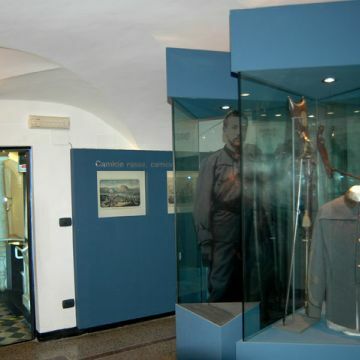 On 21 October, 1830, he was betrayed and reported to the police; he was then arrested and imprisoned in the Priamar Fortress of Savona. 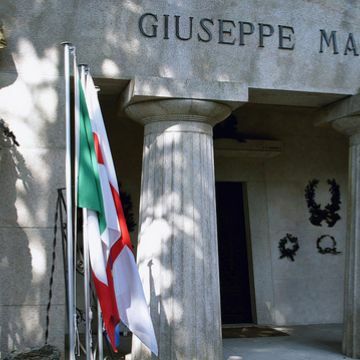 As no evidence could be found against him, he was granted the option of going into exile in Marseilles; from there, he moved to Geneva, Lyon and Corsica, and, upon returning to Marseilles, founded the Giovine Italia (Young Italy) movement, with the aim of establishing a Nation that was "United, Independent, Free and Republican". 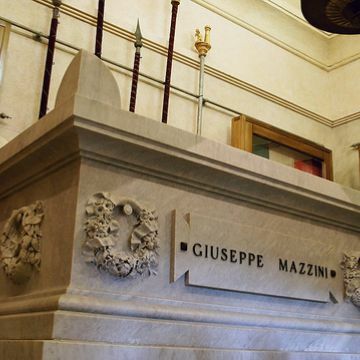 In 1832, in Marseilles, Mazzini began publishing the magazine "La Giovine Italia", and for this revolutionary act, he was sentenced to death in absentia. 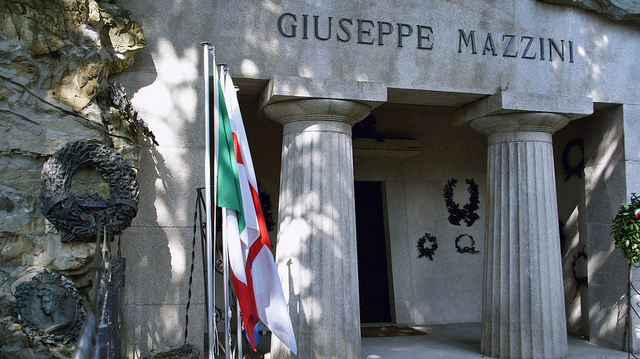 The following year he took refuge in Switzerland, where he founded the Giovine Europa movement; in 1836, he was arrested in Solothurn, and the Swiss Assembly exiled him permanently from the country. 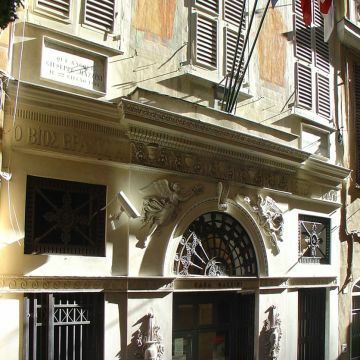 The "Father of the Risorgimento" took refuge in Paris, where he was arrested again and then released on the condition that he would leave for England. 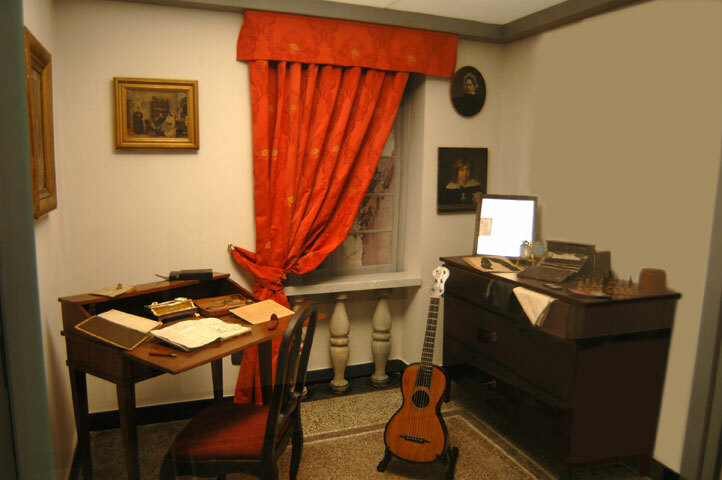 In London, he founded the periodical "Apostolato Popolare" (Apostleship of the People) and continued to work for patriotic and democratic ideals. 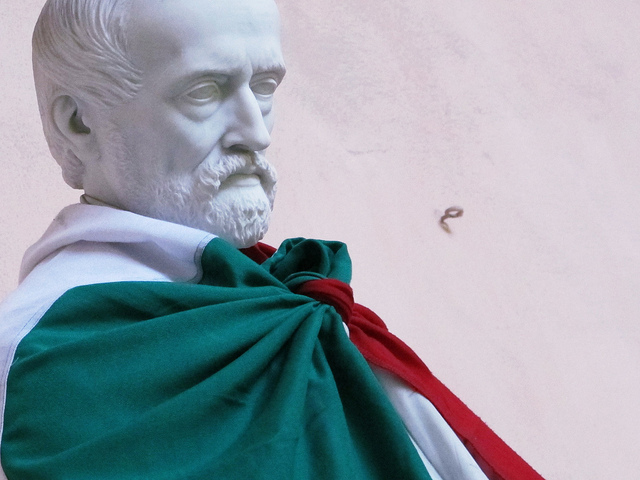 With the declaration of the Roman Republic in 1849, Mazzini was appointed a member of the "triumvirate", but when the French entered the city, he was forced to leave for Marseilles. 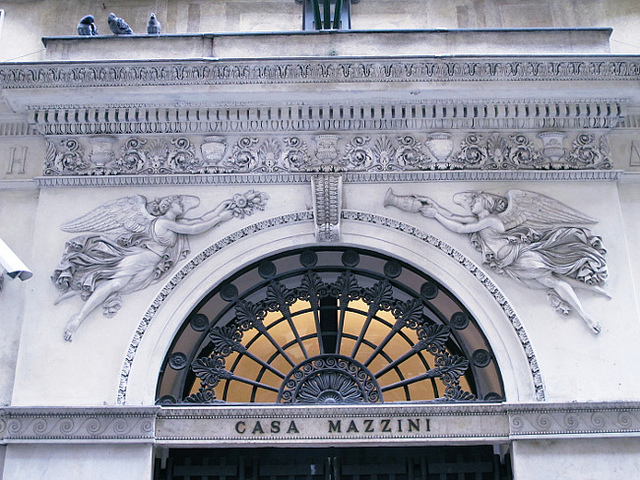 In 1851, he returned to London, where he resided until 1868, with a few intervals spent in hiding in his homeland: in 1857, when he was in Genoa to organise an insurrection, he escaped from the police and was sentenced to death in absentia for the second time. 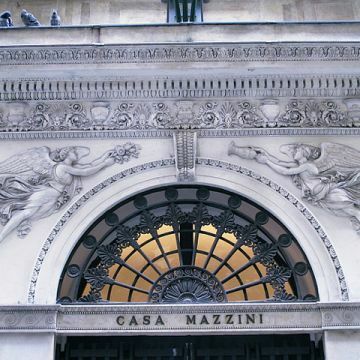 In 1861, in the wake of Garibaldi's expedition, Mazzini left for Sicily, where he was arrested and shortly after released since he had been granted an amnesty; after brief stops in Rome, Leghorn and Genoa, he returned to exile in London. 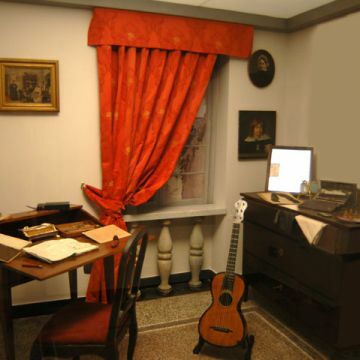 Finally, in February 1872, he arrived in secret in Pisa, where he died on March 10 under the false name of Brown. 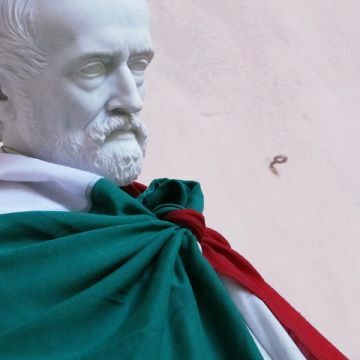 Genoa dedicates two days to Mazzini: March 10, the anniversary of his death, and June 22, the anniversary of his birth. 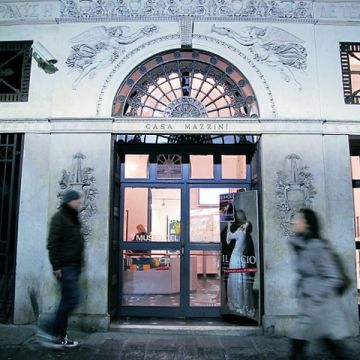 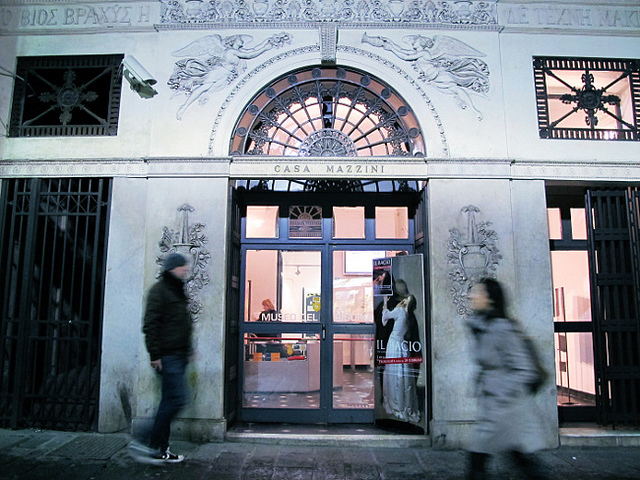 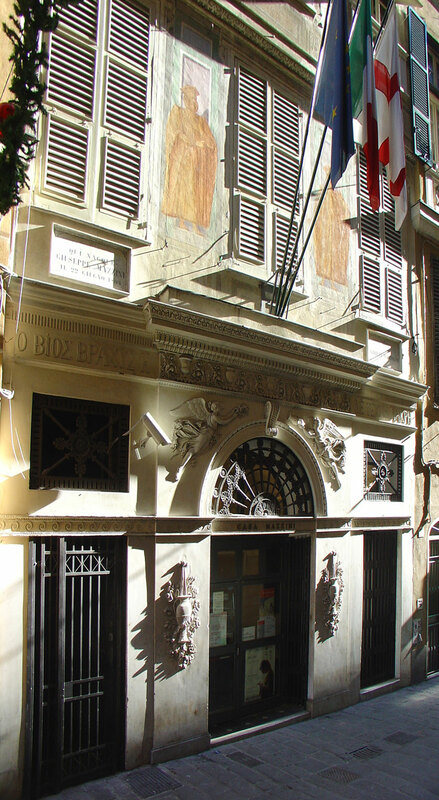 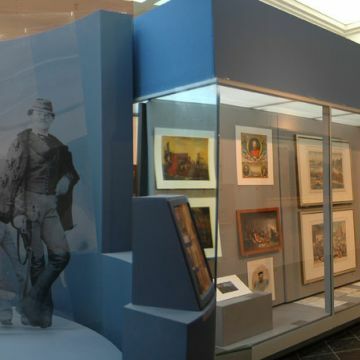 Various events take place alongside the official ceremonies held on these occasions: the city organises tours illustrating Genoa's role in the Risorgimento, guided visits of the Mazzini House-Museum, performances in costume and conferences.